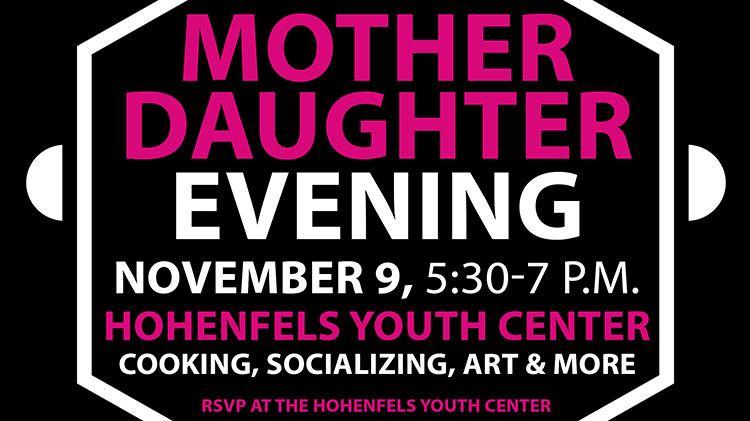 Date: Nov 9 2018, 5:30 p.m. - 7 p.m.
Join us at the Youth Center for a Mother Daughter Evening! Enjoy a night with your daughter for cooking, socializing, art and more! Open to parents and teens in both middle and high school!